Nowadays there are so many vet recommended special diets for pets to combat all sorts of health problems. Liver and kidney problems, dental, obesity, sensitive skin - you name it and there is probably a special diet available. 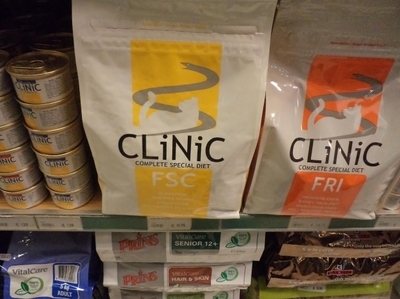 Has your pet ever been prescribed a special diet? Was it a commercially available food or a home-made recommendation? Did it work for your pet? At one point our rabbit was nearing (but not quite) being overweight, so the vet recommended we put him on Excel Light. They were the same Excel pellets we usually gave him, only a lighter version. As he got older we swapped that to pellets aimed at senior aged rabbits. My dog recently had surgery for bladder stones. We are currently waiting for the vet to call us back after analysing the stones to tell us what special diet she'll need. I'm quietly dreading the cost of buying $35 bags of dog food! My cat was given a lean diet of chicken and tuna to cope with his rapid bowel movements. Do you wear fake tan everyday, for special occasions or not at all?